A Pokémon game? A new plastic accessory? No, we're not talking about Pokémon Go and its still delayed Pokémon Plus (yes, we're still a little sore) - we're talking about the newly unveiled wearable that's going to be accompanying the full fat Pokémon game coming later this year - Pokémon Sun and Moon's Z-Ring. Following a long tradition of physical Pokémon accessories, the Z-Ring is linked to a new set of special attacks in the game, Z-Moves. These super moves - which are available once every fight - are powerful enough to turn the tide of a battle that's not going in your favour, and your new kitsch wearable will light up and vibrate as pull one off in-game. 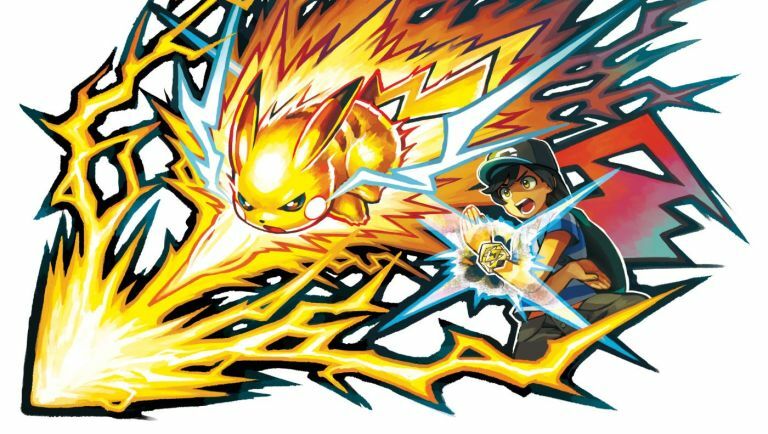 These moves won't just unlock from the off either - you'll need to bond with your chosen Pokémon in order to gain access to each one's unique Z-Move, so at least there's a big of leg work involved in getting some feedback from your new Poké accessory. With Yo-Kai Watch doing so well in Japan (and in the US where it's beginning to take off), it's no surprise to see Nintendo shooting for another interactive accessory with its latest main Pokémon release. Whether it'll be as good as the brilliant PokéWalker released with Pokémon HeartGold and SoulSilver back in 2009 (which essentially used steps to determine which kind of Pokémon you encountered in the wild, essentially predating Pokémon Go as a walking simulator). There's not release date or exact pricing on the Z-Ring quite yet, but expect it launch along with Pokémon Sun and Moon around 18 November.